Oh! Supreme Lord Hari, Oh! Lord of Eternal bliss, long ago there was a battle between the deities and demons and some of the demons were vanquished by you, some of the demons who did not attain liberation were reborn on the Earth due to their previous Karma. Mother Earth was tormented by the burden of the demons; she approached Lord Brahma in his Abode, where all the deities were already gathered. Oh! Supreme Lord Guruvayurappa, Mother Earth expressed her grief and described her pathetic state, requested to protect her from plummeting under the ocean due to the immense weight of the demons and evil minded people. 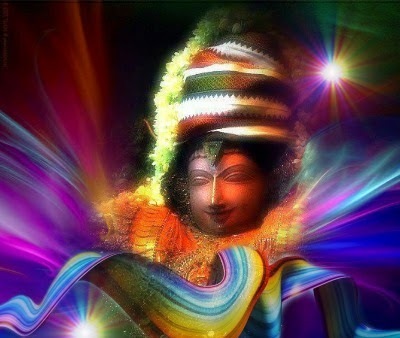 After witnessing the wretched state of Mother Earth and the anxiousness of the deities, Lord Brahma meditated upon you. Oh! Supreme Lord Guruvayurappa, Oh! Lakshmipathi, consort of Goddess Sri Mahalakshmi, Lord Brahma who was born out of Lotus commented that the Mother Earth was true, further advised them that Lord Mahavishnu is capable to save mother Earth and the deities at this moment. Thus, Lord Brahma, Lord Shiva and all the deities approached Lord Vishnu in the milky ocean, prostrated before him and eulogized the glories of you. Oh! Supreme Lord Guruvayurappa, All the deities arrived at the milky ocean, a gentle breeze welcomed them and they stood before you meditated upon your lotus feet. Lord Brahma could hear your words in his heart. 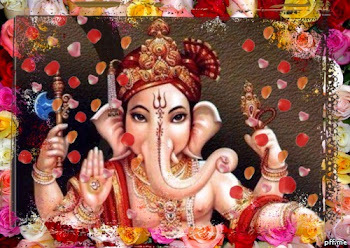 Lord Brahma informed the deities about the conversation took place with you and asked them to listen carefully, in this way he pleased the deities. Oh! Supreme Lord Guruvayurappa, you have spoken these words to Lord Brahma “ I am aware of the pathetic state of Mother Earth and the deities caused by the selfish rulers. In order to annihilate them, I shall be born on Earth in the Yadhava clan with all those glories and the deities will be born as a part of Vrishni clan and the consorts of the deities will be born to serve me.” Lord Brahma narrated the same to Mother Earth and deities. Oh! Supreme Lord Guruvayurappa, all the deities were extremely pleased at your compassionate advice which was nectar to their ears, they all relieved from the grief and returned to their abode. Hence, Mathura, the prominent city on the Earth became more sacred by your eternal presence. Devaki, virtuous daughter of Devaka was married to Vasudeva, son of King Shoorasena. Oh! Supreme Lord Guruvayurappa, soon after the marriage ceremony, newly wedded couple was taken in a chariot led by Kamsa, brother of Devaki, in order to honor them. Immediately a mysterious voice raised in the sky proclaimed ‘The eighth son of this couple will be the cause of your death’. Kamsa was horrified, took his sword to kill the beautiful woman Devaki. Oh! Supreme Lord Guruvayurappa, the wicked Kamsa caught Devaki by hair and was not prepared to leave after listening to the repeated cries of Shouri/Vasudeva. Then Vasudeva promised him to offer all the children born to the couple, Kamsa was satisfied and returned to his palace. As promised earlier, the first born child was offered to Kamsa, but he did not kill the child out of compassion. Oh! Supreme Lord Hari, even the wicked ones turns out considerate at times. Oh! Supreme Lord Guruvayurappa, in the meantime, Maharishi Narada who was prompted by you arrived in the Kingdom of Boja, advised Kamsa that he belongs to the clan of Dhanavas/demons and Yadhavas belongs to Devas/deities, furthermore, it’s definite that the Supreme Lord Hari, Master of illusion will be born to take away his life and protect the deities. After listening to the advice of Maharishi Narada, Kamsa decided to obliterate Yadhus and killed the son of Vasudeva,. Oh! Supreme Lord Guruvayurappa, at your instruction the King of Serpents, Adishesha entered the womb of Devaki as seventh child was transferred to the womb of Rohini by Yogamaya. Oh! Madhava, Oh! Lord of perpetual bliss, you have entered into the womb of Devaki at the appeal of the deities was eulogized by them. Oh! Supreme Lord Krishna, I earnestly pray to eradicate our ailments and bestow supreme devotion. Oh! Supreme Lord Guruvayurappa, we meditate upon your marvelous form that was ideal for the Rasakeli, beautiful hair locks adorned with the bundle of feathers of peacock, dangling ear studs, various precious jewels and flower garlands on the neck, golden waist belt over the yellow colored silk garment, strong fragrances of sandal paste and gem studded anklets. Oh! Indira Ramana ! 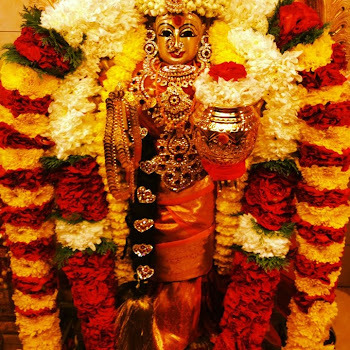 Consort of Goddess Sri Mahalakshmi, a group of beautiful young maidens who were dressed up, attired in marvelous garments and dangling ear jewels formed a circle around you. Oh! Padmanabha, you have flawlessly moved around the young maidens assembled and performed the glorious Rasa Dance. Oh! Vasudeva, Maharishi Narada described your glorious Rasa Leela to the deities. All the deities promptly gathered on the sky to witness the same. These deities were accompanied by numerous attractive young maidens, well attired and decked in various jewels and joined for the amorous display. Oh! Guruvayurappa, the melodious music released through the divine instrument flute was captivating, along with the soft beat of the feet of the dancers, the clapping sounds with the tingling noises of the bangles etc… was mesmerizing. I meditate upon the glorious Rasa dance you have performed by placing your lotus hand on the shoulders of the Gopikas, while they danced their stunning attire was fluttered gracefully in the air. Oh! Guruvayurappa, the singers raised their voice to reach highest of the musical notes, beautiful young maidens who were performing dance gracefully revealed their displaced jewels on their bodies. The deities assembled eulogized the glories of you and showered flowers upon you, as they were witnessing the glorious Rasa leela with their consorts were entranced into the world of pure consciousness of you. Oh! Guruvayurappa, one of the Gopika who has slender and delicate figure was abruptly turned over exhausted and found solace on your shoulder. Another woman with disheveled hair approached you to smell the fragrance of Sandal paste on your body and timidly kissed on your hands, she attained state of ecstasy. Oh! Guruvayurappa, another young maiden who is the storehouse of merit, placed her cheek on yours with her dangling earrings; she was immersed in a state of bliss as if she has consumed the juice of betel chewed by you. The Gopikas during the glorious Rasa leela attained the sport field of Goddess Sri Mahalakshmi with you, what would be the bliss they have attained in your association? Oh! Lord Guruvayurappa, gradually the sounds of music and the divine instruments has stopped, but the beautiful young maidens were immersed in extreme joy of Union with Brahmam/Supreme bliss and they kept dancing in a circle without the knowledge of their misplaced attires or disheveled hair, the stars in the sky took immense pleasure in watching them. What did I say? Oh! Lord Guruvayurappa, the entire universe was engulfed into supreme bliss, when the Rasa Leela was come to an end. The beautiful young maidens who were danced to the tunes were bathed in perspiration and they were unable to bear the cupid arrows of Lord Manmatha. Oh! Supreme Lord Guruvayurappa, you have assumed numerous forms due to the meritorious reward of the Gopikas and performed amorous sport with them. Oh! Supreme Lord Guruvayurappa, the beautiful young maidens assembled were exhausted due to the varied sports were affectionately caressed by you. Later, you have immersed in the sporting activities with them in the waters of Yamuna. You have proceeded with the young maidens through the woodlands filled with cool breeze and the fragrances of various alluring flowers; and they found extreme bliss in it. Oh! Supreme Lord Guruvayurappa, Oh! 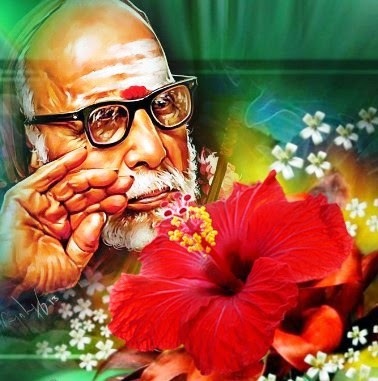 Kamaniyakanidhey, who has possessed all the virtues, in this way you have made the Gopis to experience the ocean of supreme bliss which is capable for Yogis. This occasion has created a great feeling of respect in Lord Brahma, Lord Shankara and all the deities towards the Gopikas. Oh! Gamaneeya Roopa, Oh! 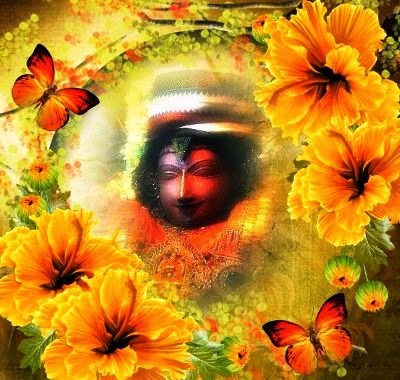 Kamaneeya Krishna, you are attainable only to your passionate devotees, I earnestly pray to protect us all. 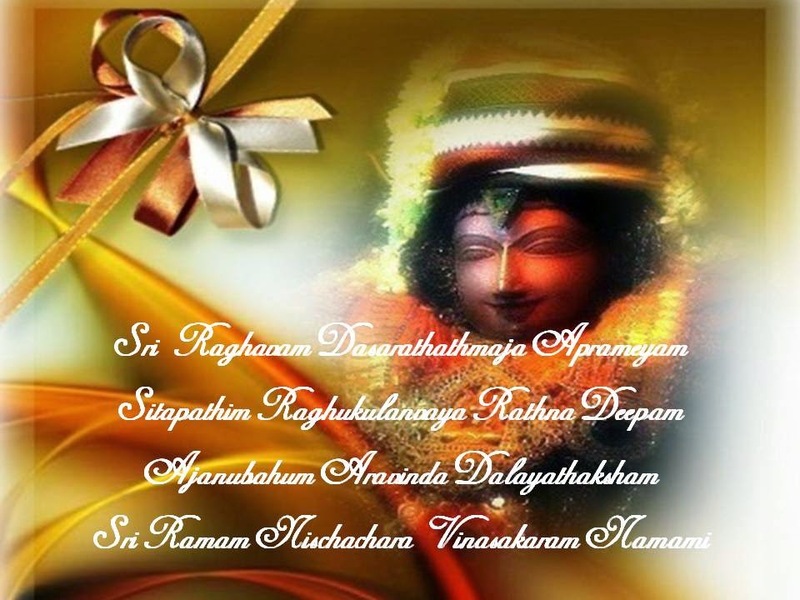 Skandha Shashti Vizha begins on 24th October, 2014 !! Vetrivel Muruganukk Ara Aro Ara !! 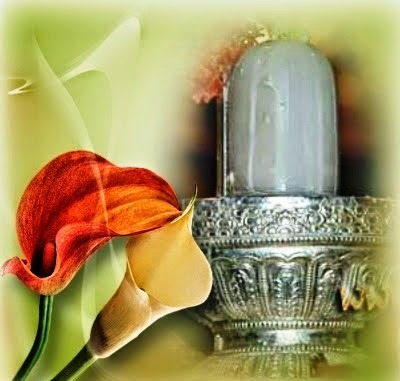 Skandha Shasti begins on the 6th day of bright fornight in the Tamil Month Aippasi. The six day long festival commemorates the fierce battle of Lord Muruga with the demon Tharakasura and the death of the demon. The celebration continues for six days in all the Murugan temples especially in the famous Six Abodes of Lord Muruga. The Six Abodes of Lord Muruga are Thirupparamkundram, Thiruchendur, Palani, Swami Malai, Thiruthani and Pazhamuthir Cholai. Fasting, following austerities on these auspicious days and reciting the scared hymns of Lord Muruga such as Thirupukazh and Skandha Puranam are highly meritorious.